Perfect for a light lunch or if you are asked to bring a dish to a holiday party. 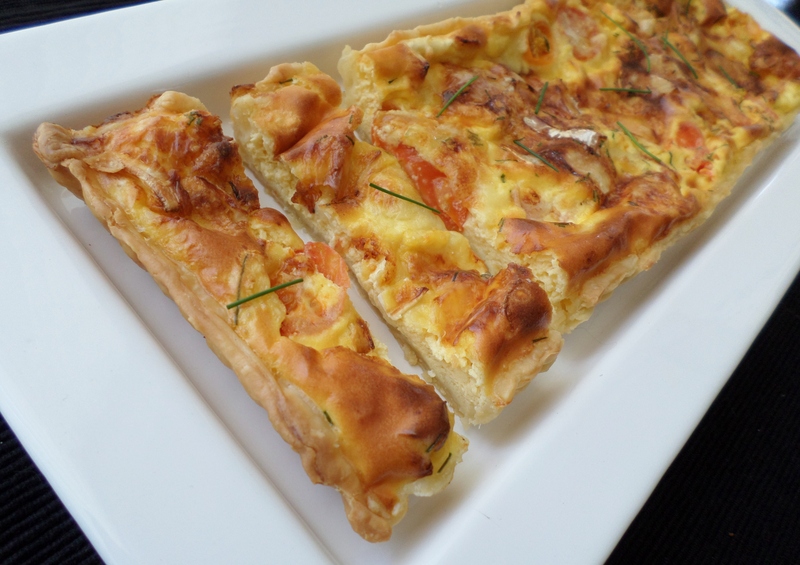 If you don’t have a long tart pan then don’t worry, just use a normal round quiche or pie dish. You can swap the brie for camembert or another similar soft cheese. Heat your oven to 200C/180C fan forced/390F. Spray a tart pan or quiche dish with cooking spray. Line your pan/dish with the pastry, making sure to firmly press any joins and to come up the sides of the pan too. If you are using a tart pan that has a loose base, place the pan onto a baking tray just in case any egg mixture leaks out of the tart whilst it is cooking. Put the eggs, milk, grated cheese, mustard, flour and chives into a jug and whisk to combine. 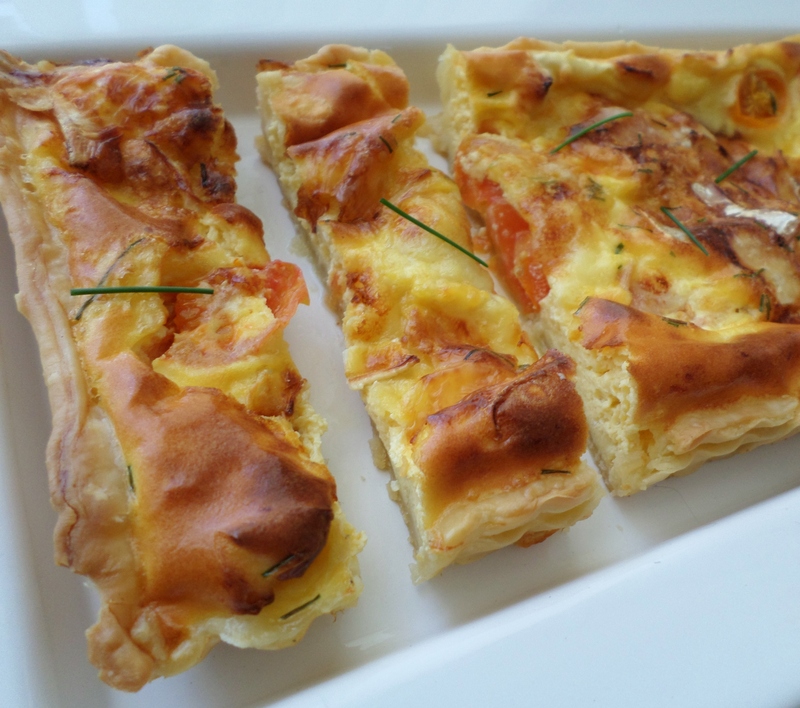 Place the sliced brie and cherry tomatoes into the pastry case, then gently pour over the egg mixture. Bake for 40-45 minutes or until the pastry and filling are golden brown. This entry was posted in Baking, Snacks and tagged Cheese, Eggs, Food, Light meals, Lunch, pastry, Quiche, Recipe, Recipes, Snacks. Bookmark the permalink.